Have you ever wondered what happens when you type a search query into Google? Have you wondered what factors Google takes into account when deciding to rank your webpage amongst billions of other webpages on the Internet? According to Matt Cutts, a former engineer in the quality group at Google this is what happens when you do a web search. The first thing to understand is that when you do a Google search, you aren’t actually searching the web, you’re searching Google’s index of the web, or at least as much of it as we can find. We do this with software programs called spiders. Spiders start by fetching a few web pages then they follow the links on those pages and fetch the pages they point to, and follow all the links on those pages and fetch the pages they link to and so on, until we’ve indexed a pretty big chunk of the web–many billions of pages stored across thousands of machines. Now, suppose I want to know how fast a cheetah can run. I type in my search, say, cheetah running speed and hit return. Our software searches our index to find every page that includes those search terms. In this case, there are hundreds of thousands of possible results. Do the words appear in the title, in the URL, directly adjacent? What is this page’s PageRank? Finally, we combine all those factors together to produce each page’s overall score and send you back your search results about half a second after you submit your search. At Google, we take our commitment to delivering useful and impartial search results very seriously. We don’t ever accept payment to add a site to our index, update it more often or improve its ranking. Let’s take a look at my search results. Each entry includes a title, a URL and a snippet of text to help me decide whether this page is what I’m looking for. I also see links to similar pages, Google’s most recent stored version of that page, and related searches that I might want to try next. And sometimes, along the right and at the top, I’ll see adds. We take our advertising business very seriously as well, both our commitment to deliver the best possible audience for advertisers and to strive to only show ads that you really want to see. We’re very careful to distinguish your ads from regular search results and we won’t show you any ads at all if we can’t find any that we think will help you find the information you’re looking for–which, in this case, the cheetah’s top running speed is more than 60 miles an hour. I hope this made Google a little bit more understandable. Are you having difficulty getting your webpages ranked? 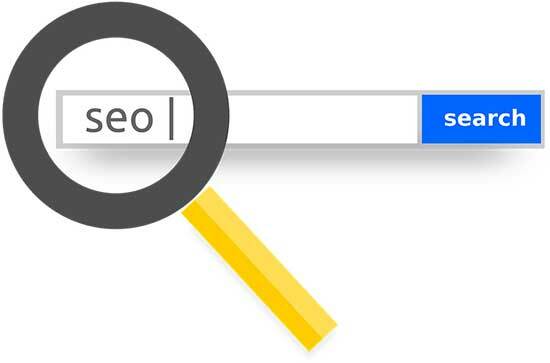 Check out our search engine optimisation services.